Stanley has over 10 years of extensive experience in marketing communications and public relations. In his role with CBRE he focuses on improving collaboration, efficiency and creativity in the branding of CBRE’s corporate identity across in-country marketing and public relations channels. Stanley is fluent in Mandarin and English. Prior to joining CBRE, he worked in Ogilvy Public Relations, representing clients in financial services including Barclays, AllianceBerstein and AIA. 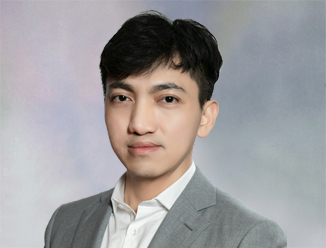 Following his time in agency he worked as an in-house marketing & communications professional at ViewSonic Corporation based in Taiwan, where he coordinates global marketing communications campaigns. Stanley has extensive experience in the development of strategic communication frameworks with media & stakeholder relations for corporates, and ways to effectively enhance corporate branding for many multi-national companies. Aside from the conventional PR channels, Stanley has also coordinated Search Engine Optimizaton (SEO) campaigns for corporates to effectively build online presence and communities. Stanley has strong digital capabilities and his understanding of the digital environment has allowed him also to deliver effective communications programs across the social spectrum. Stanley holds a Bachelor’s Degree in Journalism from National Chengchi University (Taiwan), with focus on international communication & cross-cultural communication.